Moving Parents and Children Together (MPACT) was founded in 2001 to bring Luna’s parent-child dance classes to families in the Alameda County Dependency Court and child welfare systems. Since then, LDI has broadened the definition of reunification beyond court-ordered mandates to include temporary separations due to substance abuse, domestic violence, family illness, immigration, prison sentences, homelessness, or other factors. Luna offers MPACT through partnerships with local social service organizations, and free family dance classes open to the public at local libraries. Parent-child dance classes provide families with a safe, comfortable environment to play and dance together and have proven to be beneficial by helping parents gain confidence in their ability to interact physically with their children and by strengthening the family bond. 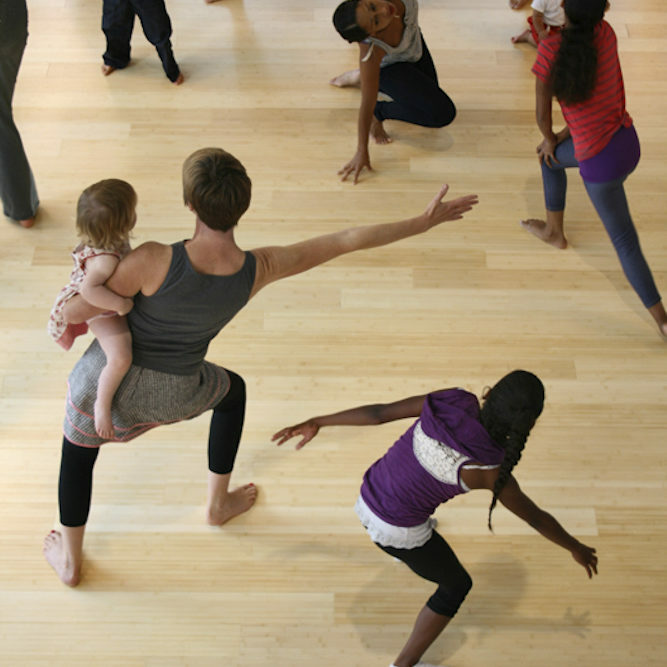 Family dance classes, embodied parent education, agency partnerships, and professional development comprise MPACT. Keep reading to find the MPACT session schedule for families, information for organizations interested in partnering with Luna Dance Institiute, and useful links for professional development. MPACT (Moving Parents & Children Together) classes are offered for FREE for families. No formal registration necessary. If you have questions or would like to RSVP for the class, please contact Cherie at chill@lunadanceinstitute.org or call (510) 883-1118. Se ofrece GRATIS las clases de danza MPACT. No se require registración formal. Si tenga preguntas o si quisieras reservar un lugar en la clase favor de contactar a Cherie, (510) 883-1118, chill@lunadanceinstitute.org. Outside of MPACT, families dance together in many ways at Luna, including in parent-child classes for 0-3 year olds, family dance jams, Open Houses, and free community classes for families of all ages and sizes. 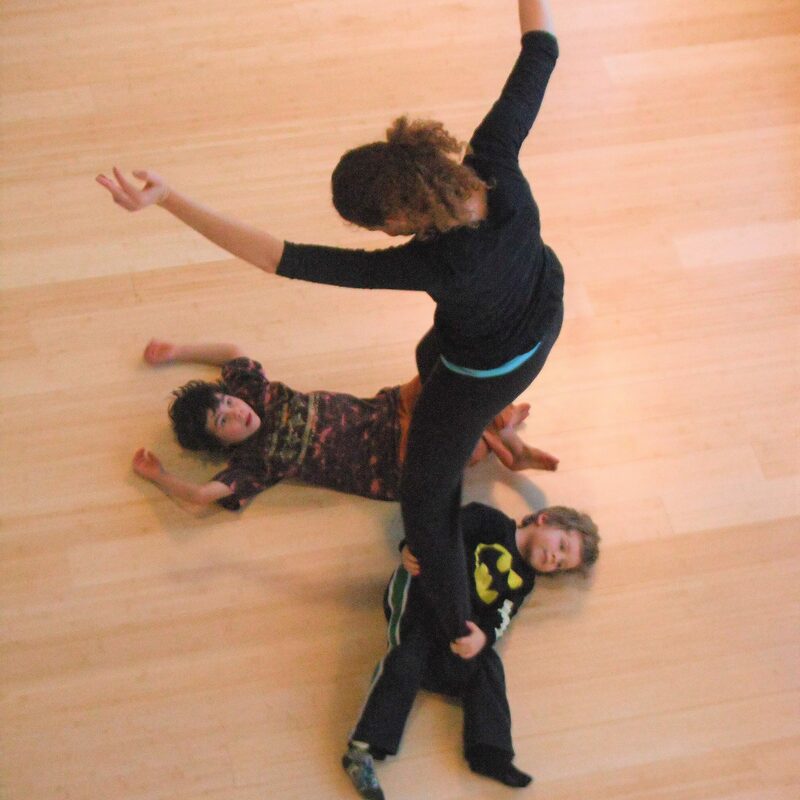 Explore our classes for families to learn about the relationship-strengthening capacity of dance. First Five Alameda County – Every Child Counts was an early funder of MPACT and even after they eliminated their grant-making program, continue to call on LDI to teach workshops to their network of family and social service providers. We’ve offered extensive educator/community worker dance training at First Five, Kidango and Lotus Bloom. 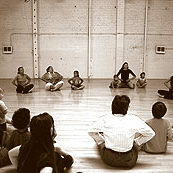 Long-term projects occurred at Asian Women’s Shelter, San Francisco (2005-08), the Wooden Floor, Santa Ana (2010-12), and Canyon Dance, Flagstaff, AZ (2008). To work effectively within a social justice system requires perseverance, cultural humility, relationship-building skills, and self-reflection; our Family Dance Institute was created as a space to investigate these aspects of our teaching practice. Sending an organizational representative to the Family Dance Institute is a cost-effective way to explore the potential for dance in your setting. Alternatively, if you’re interested in finding out how Luna can build capacity for dance at your agency, please complete this interest form. In order to fulfill our mission of bringing dance to all children, Luna provides family dance institutes and workshops to dance teaching artists, early childhood educators, social workers and other practitioners who wish to learn how to develop and teach relationship-based dance curriculum. We also offer a 2-year internship program for those seeking to commit to an extended course of study. For more information, contact Nancy at nng@lunadanceinstitute.org.